Jeremy Wallace is a wood and soda fire potter originally from Minnesota, where he began working with clay at community college. 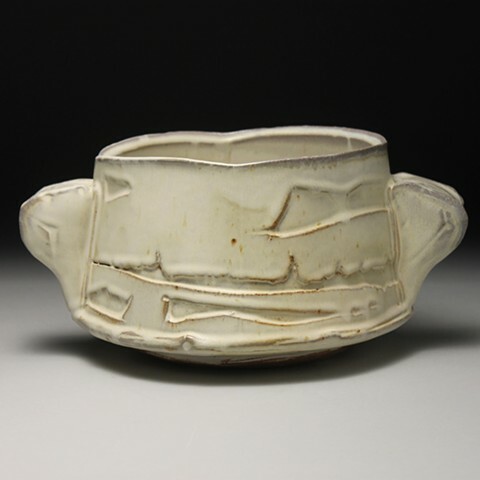 He received his BFA with a concentration in ceramics from the University of Wisconsin Superior in 2009. Jeremy’s work uses form, texture, and atmospheric firing to capture the beauty of raw clay in the finished vessel. Interested in the community aspect of wood firing, Jeremy gained experience as a wood kiln assistant at Baltimore Clayworks for two years before completing a year long residency at the Morean Center for Clay in St. Petersburg, FL. Jeremy then returned to Baltimore in 2014 as the Lormina Salter Fellow at Baltimore Clayworks. His work has been exhibited nationally, and he has taught classes and workshops at multiple clay studios, including Touchstone Center for Craft. In 2016 he was chosen as a Ceramics Monthly Emerging Artist. He currently resides in Baltimore and maintains his studio practice as a long term resident at Baltimore Clayworks.